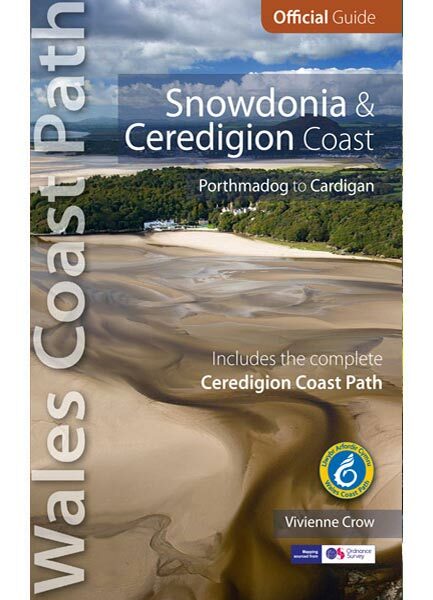 The Snowdonia & Ceredigion Coast section of the Wales Coast Path runs for 132 miles / 213 kilometres between Porthmadog in Gwynedd in the north and the town of Cardigan close to the Pembrokeshire border in the south. 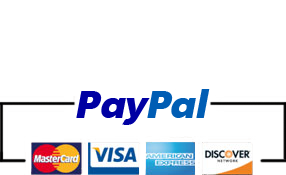 This guide splits the route into 11 convenient day sections, each of about 6-18 miles / 10-29 kilometres. 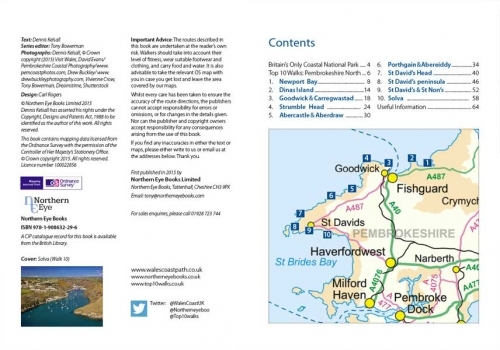 This Official Guide to the Snowdonia & Ceredigion Coast section of the Wales Coast Path contains everything local and long-distance walkers need. 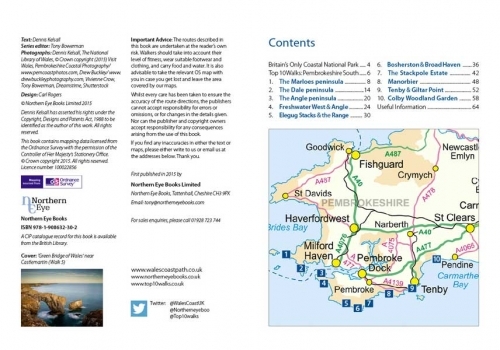 This Official Guide to the Snowdonia & Ceredigion Coast section of the Wales Coast Path contains everything local and long-distance walkers need to enjoy the path. 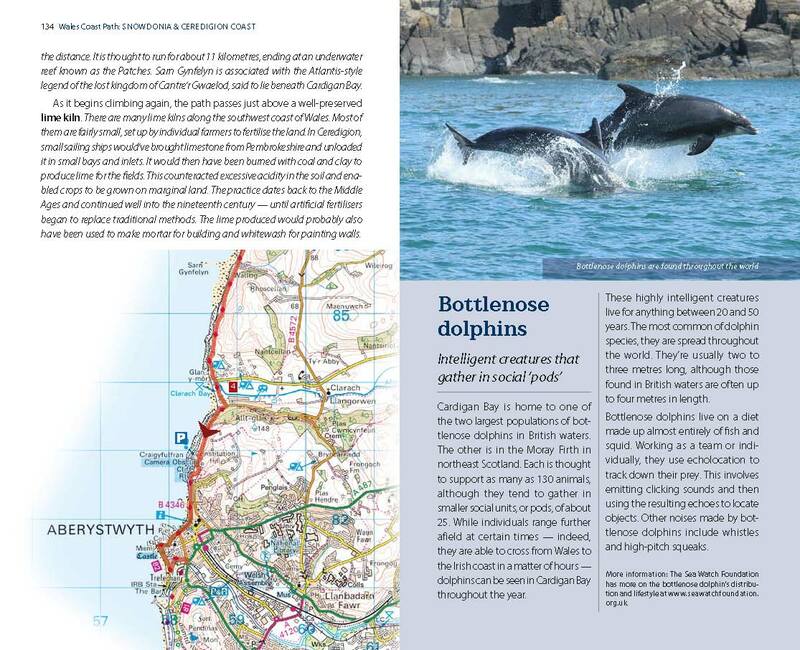 Cardigan Bay probably offers a more diverse walking experience than any other section of the Wales Coast Path. 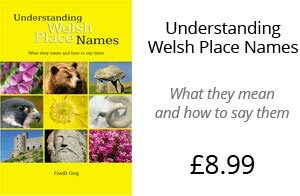 The stretch covered in this book – from Porthmadog in the north to Cardigan in the south – largely covers two contrasting Welsh counties. 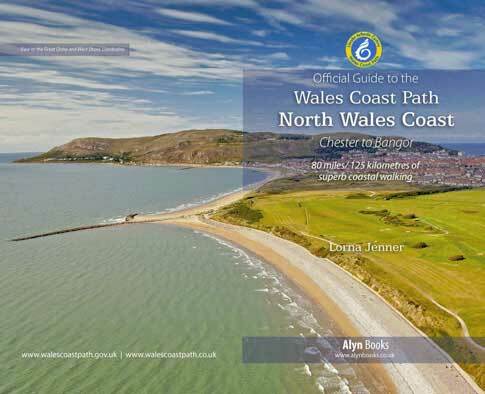 The first 97 kilometres pass through Gwynedd, along the western edge of the Snowdonia National Park. 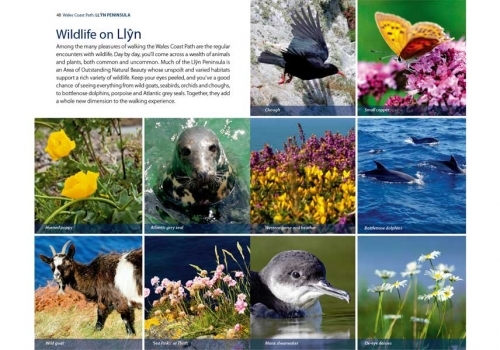 Here, just before the rivers that rise in the highest of the Welsh mountains reach the sea, they fan out to form broad estuaries that provide rich pickings for waders and other birdlife. 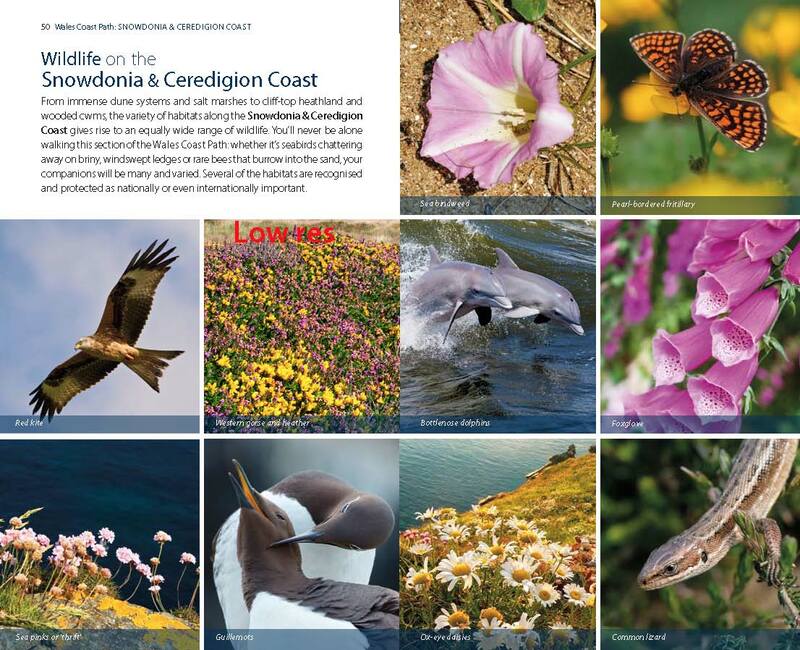 The estuaries of the Dwyryd, the Mawddach and the Dyfi are the largest of these. 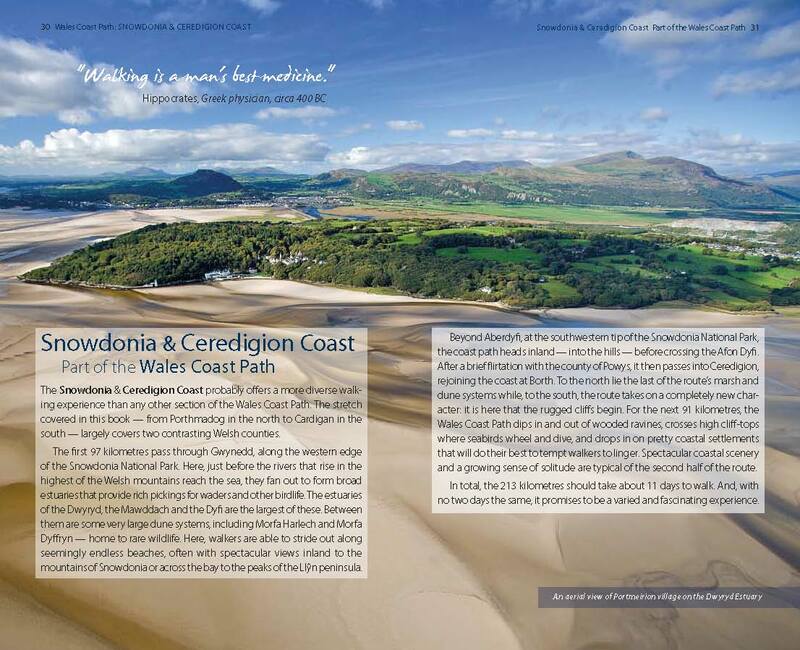 Between them are some very large dune systems, including Morfa Harlech and Morfa Dyffryn – home to rare wildlife. 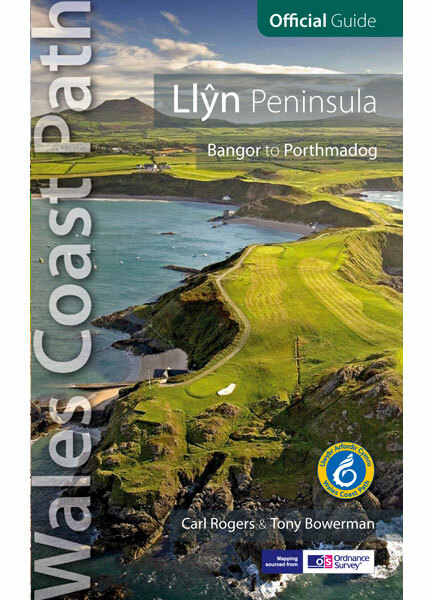 Here, walkers are able to stride out along seemingly endless beaches, often with spectacular views inland to the mountains of Snowdonia or across the bay to the peaks of the Llŷn peninsula. 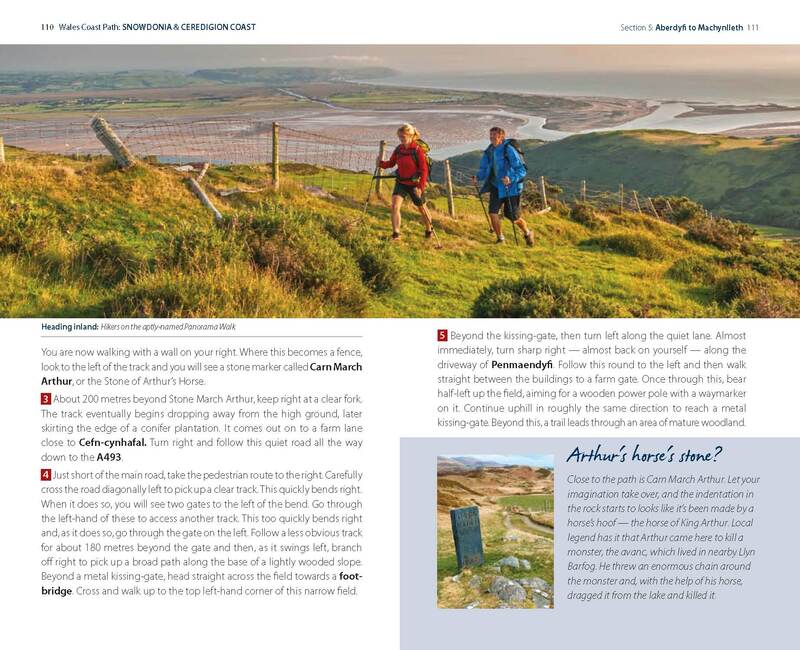 Beyond Aberdyfi, at the southwestern tip of the Snowdonia National Park, the coast path heads inland – into the hills – before crossing the Afon Dyfi. After a brief flirtation with the county of Powys, it then passes into Ceredigion, rejoining the coast at Borth. 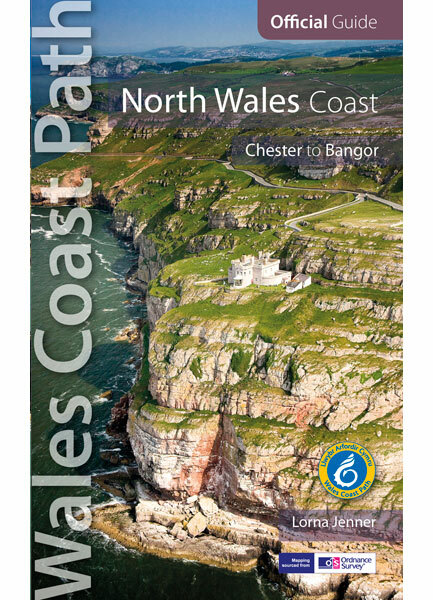 To the north lie the last of the route’s marsh and dune systems while, to the south, the route takes on a completely new character: it is here that the rugged cliffs begin. 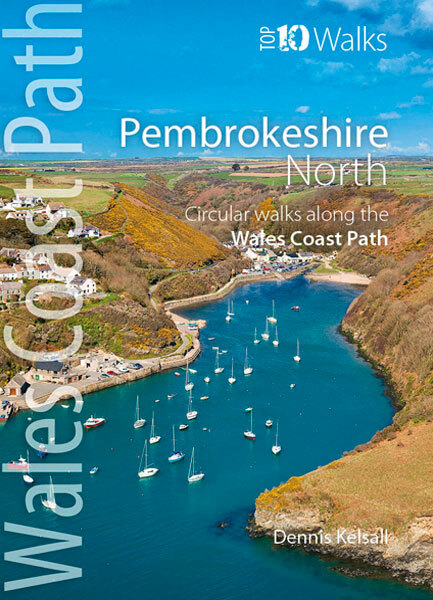 For the next 91 kilometres, the Wales Coast Path dips in and out of wooded ravines, crosses high cliff-tops where seabirds wheel and dive, and drops in on pretty coastal settlements that will do their best to tempt walkers to linger. 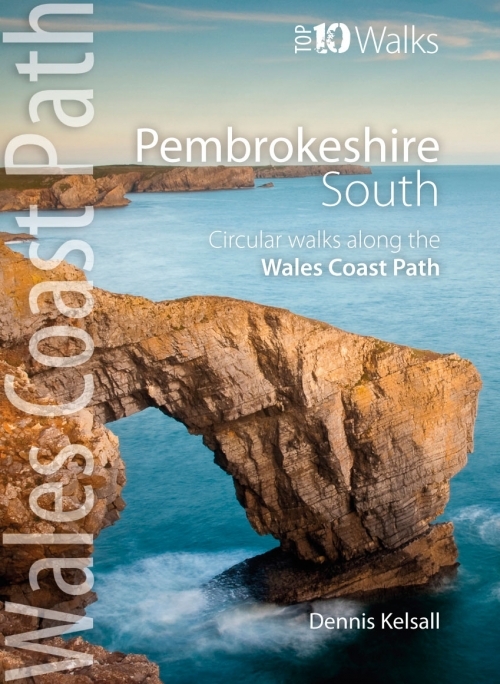 Spectacular coastal scenery and a growing sense of solitude are typical of the second half of the route. In total, the 213 kilometres should take about 11 days to walk. And, with no two days the same, it promises to be a varied and fascinating experience.